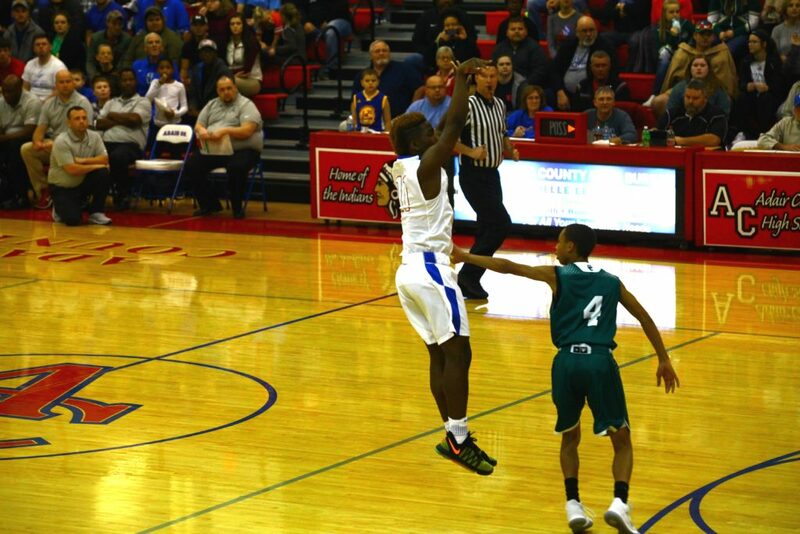 The Adair County Indians opened their season with a convincing win versus Cumberland County at John Burr Memorial Gymnasium on Tuesday by a score of 85-48. Freshman Zion Harmon led the Indians from the start, blistering the Panthers with 16 points solely in the first quarter versus the Panther’s 7. The Indians took a comfortable 45-16 lead at the half and had already emptied their bench by the end of the second quarter. The second half was much of the same story, as the Indians would cruise to victory from a strong defensive effort. The team recorded 15 steals, 16 assists, and 34 rebounds in the game. The Tribe was led in scoring by Zion Harmon with 41 points to go along with four rebounds, three steals, and five assists. Anthony Payne chipped in 16 points with a rebound, a steal, and an assist while senior Corey Melton added 15 points to go along with nine rebounds, one steal and four assists. Blane Frazier notched five points with two rebounds, a steal and two assists while Dre Boyd added four points with two rebounds, a steal and an assist. Senior Hunter Cundiff hustled on every play to finish with a team high six steals to go along with eight rebounds, three assists and a perfect two-for-two from the charity stripe. The Indians will be back on the court tomorrow at 7 p.m. at Green County. Congrats to the Indians for a nice season opening win and good luck the rest of the year! Freshman point guard Zion Harmon fires a deep three against Cumberland County.